Nanhua Electronics is continuous committed to research and development marine navigation lanterns already has different nautical marine lanterns. The 2NM and 4NM solar powered marine lanterns are suitable for marine buoys, inland buoys, shore signs, html lamp posts, and offshore oil field derrick signals. 5NM marine lantern is designed for offshore wind power platforms. The IP68 protection grade and corrosion resistance features are highly praised by customers. Professional lighting distribution design for high mast application. With more than 20 years of design and application experience, we insist on providing high-quality signal warnings and aviation obstruction lights that give solutions to industrial site challenges. We provide highly reliable industrial LED lighting fixtures for harsh environments, and create specialised designs to enhance the high light efficiency and industrial-grade stability of the fixtures. Our industrial communications and intelligent controls deliver accurate information, maintain control, combining signals and lighting products to make better solutions and increase efficiency. We have mature application in port machinery, engineering machinery, wind power, aviation signal, railway track, petrochemical and other industries. NANHUA is committed to creating an equal, self-owned and open cultural environment. We respect the personality of each employee and are full of expectations for the future! 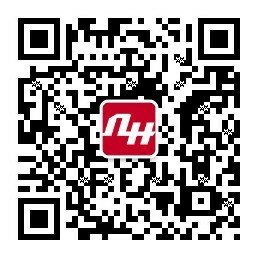 The purpose of NANHUA customer service is customer satisfaction first. Our goal is to provide customers with convenient, efficient and satisfactory technical support and services.